Today the New England Venture Capital Association (NEVCA) revealed the nominees for its sixth annual NEVY Awards, which recognize the top innovators, investors and companies in the region. 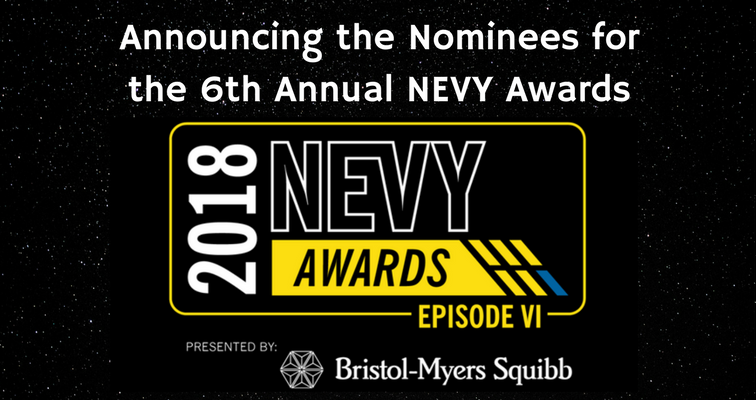 Presented this year by Bristol-Myers Squibb, NEVY Award winners will be announced at the much anticipated, Jedi-inspired awards ceremony on Wednesday, May 9 at Boston’s House of Blues. The NEVYs recognize a broad spectrum of categories, honoring both early and late-stage companies, as well as the venture capitalists who support them. Nominees were selected by the organization’s Technology and Healthcare & Life Sciences Academies, made up of some of the region’s top investors from across industries. SaaS/Software Company of the Year: Catalant, CloudHealth Technologies, DRIFT, Forge.AI, Inc., iSee AI, mabl, Tive, Inc. Joining Bristol-Myers Squibb in supporting the sixth annual NEVY Awards are Entertainment Sponsor IDA Ireland; Academy Sponsor Cooley LLP; Gold Sponsor Alexandria Real Estate Equities; Silver Sponsors Deloitte and AbbVie; Bronze Sponsors Bose Ventures, J&J Innovation, Inc. — JJDC, Leerink, Piper Jaffray, Pfizer and Life Science Advisors; and Content Partner VentureFizz. To attend this year’s NEVY Awards, buy your tickets here! Follow official updates from the NEVCA team on Twitter with #NEVYs18, or on Facebook, Medium and at www.newenglandvc.org. More information on NEVY Awards history and vision is available at thenevys.com. New England Venture Capital Association (NEVCA) members support entrepreneurs winning. Great VCs depend on great entrepreneurs.